Turning 77 I'm all for having more fun with my art. Please check my "New Work" section for my most recent work. For a very long time I've had the idea that I could possibly become a much better artist than I had been so far. I find myself envisioning possible paintings that surpass any I've painted up to this time. What I've learned about myself is that entering competition is the one thing that motivates me to try much harder to do better art. Even so, my "best" is elusive, and I never seem to get there, but I love the challenge of trying! 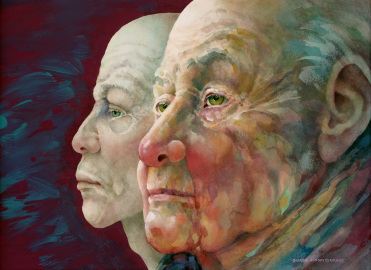 Traveling the intricacies of the aging facial landscape with my brush and paints is helping me to become a better portrait artist. 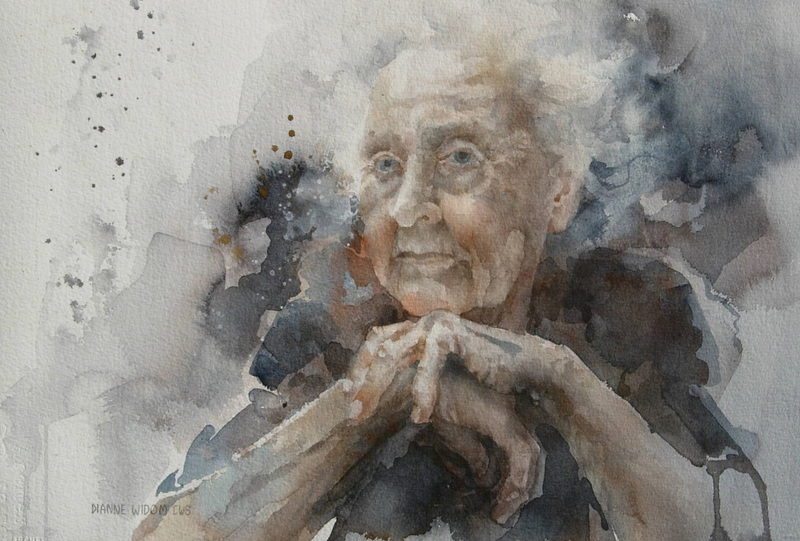 As you can see below, I do find painting the signs of age to be far more stimulating than producing paintings of faces with smooth, unlined skin. 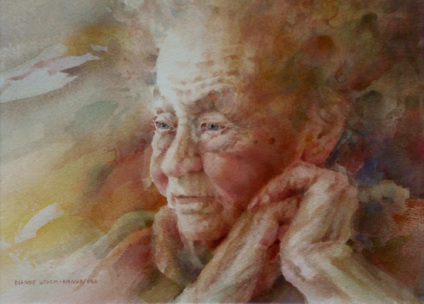 However, I have done a series of paintings of young women in my "Women With Hats" section, under "Watercolors". In all honesty, the real reason I'm so focused on this endeavor of doing better art has everything to do with "time". As I'm getting older (as we all are, of course!) I'm finally, finally realizing I simply no longer have "forever" to reach my potential, whatever that may be. Does any artist ever feel they have accomplished this? I don't think so. "Feeling The Magic" won "Best Of Show", LAA Fall Member Show, 2016, and the "Painted Toe Society Award", Rocky Mountain National Watermedia Exhibition, 2015. Merit Award, International Watermedia Exhibition 2017. 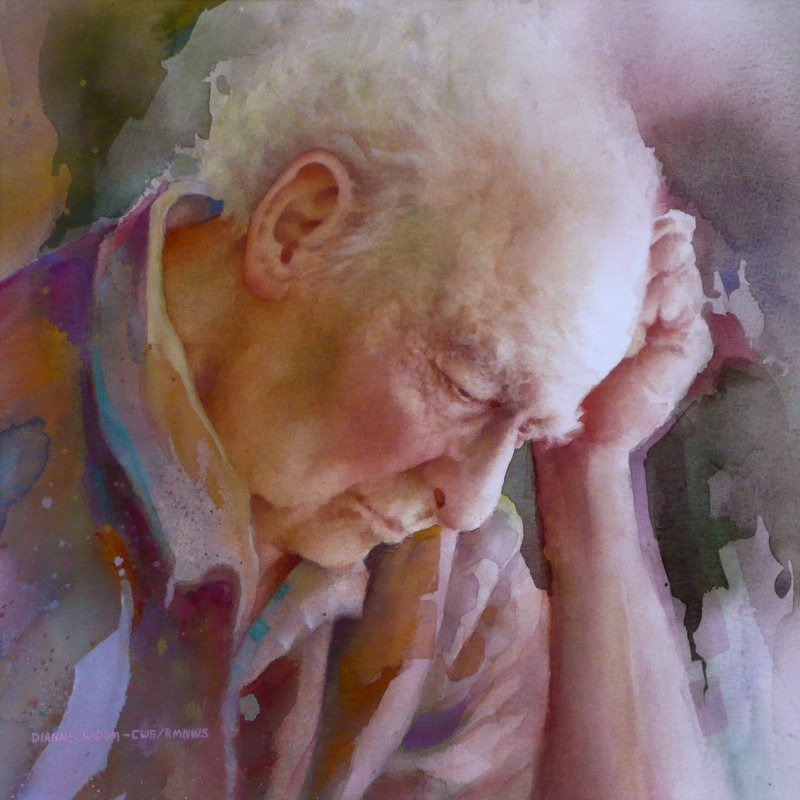 "Thinking Man" (My Husband Ivan Was My Model) - This won an award in the Southern Colorado Watercolor Society National Show 2014. But, more important to me, it won the "People's Choice" award! 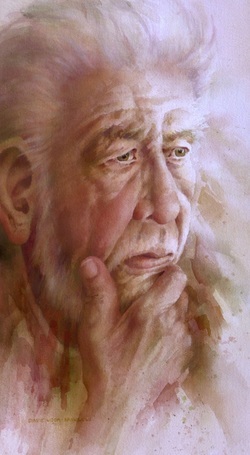 Then in April, 2015 "Thinking Man" won the "Judge's Award" as well as "People's Choice Award" in the Louisville Artists Association Spring Member Show. 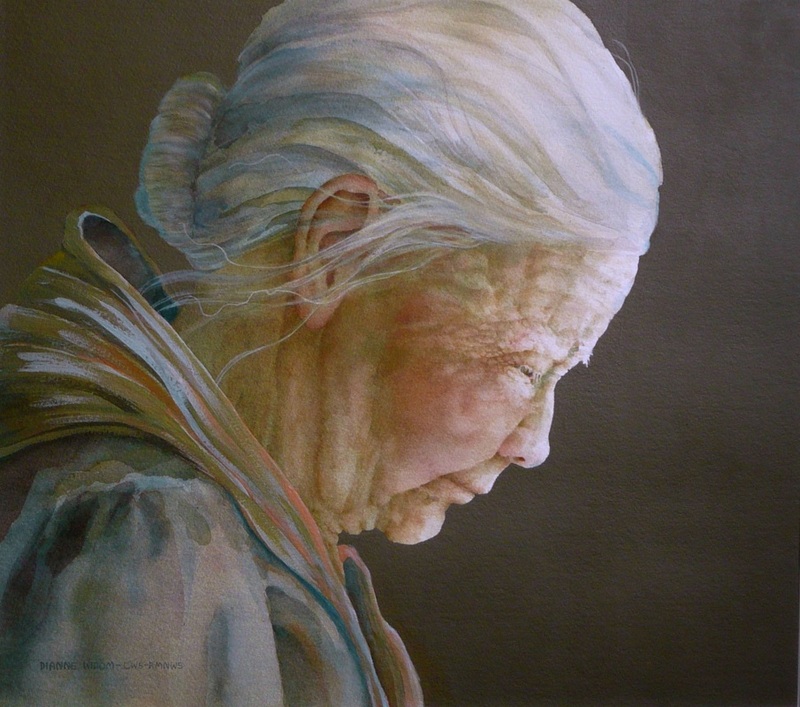 "Facing The Challenge" won 3rd Place, Louisville Artists Association National Fine Arts Exhibition, 2011. 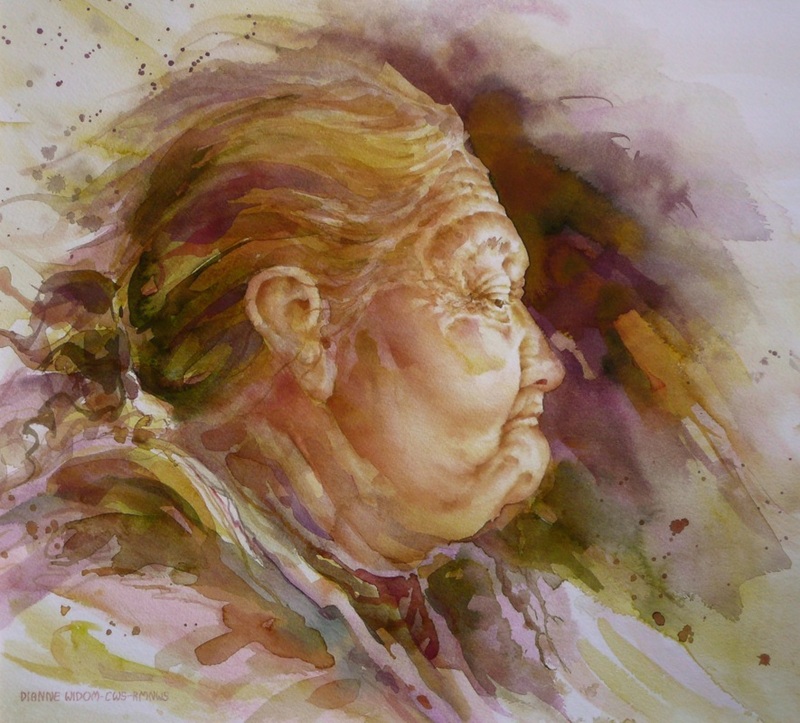 That same year it was accepted in the Rocky Mountain National Watermedia Exhibition. 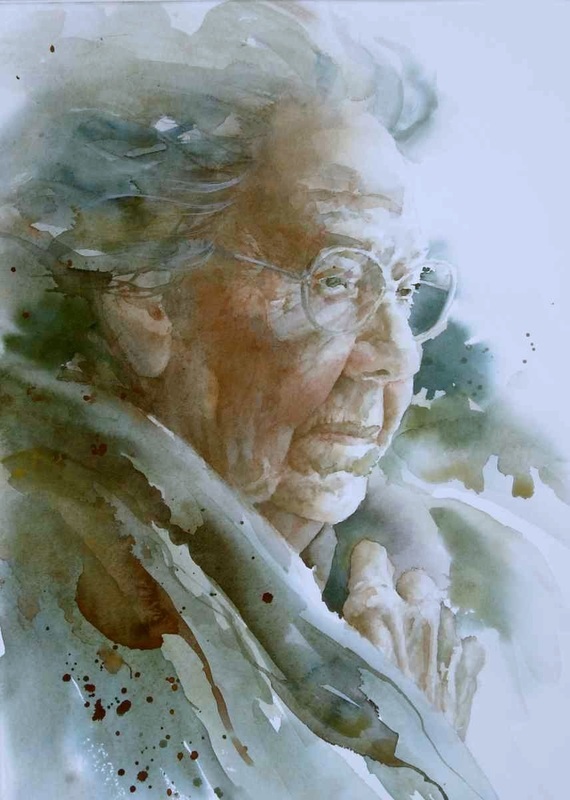 "Gladys" won 2nd Place, Colorado Watercolor Society State Show, 2010 ---- Best Of Show and "People's Choice" award, Louisville Artists Association Spring Member Show, 2013. Gladys was a good friend of mine years ago when we lived in Fairplay, CO.
"Helen" - Received the "Best Of Show" award, Gilpin County, CO, 2016. 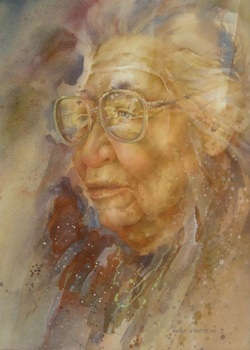 I met Helen Atatayak when we lived in Nome during the early 1980's. 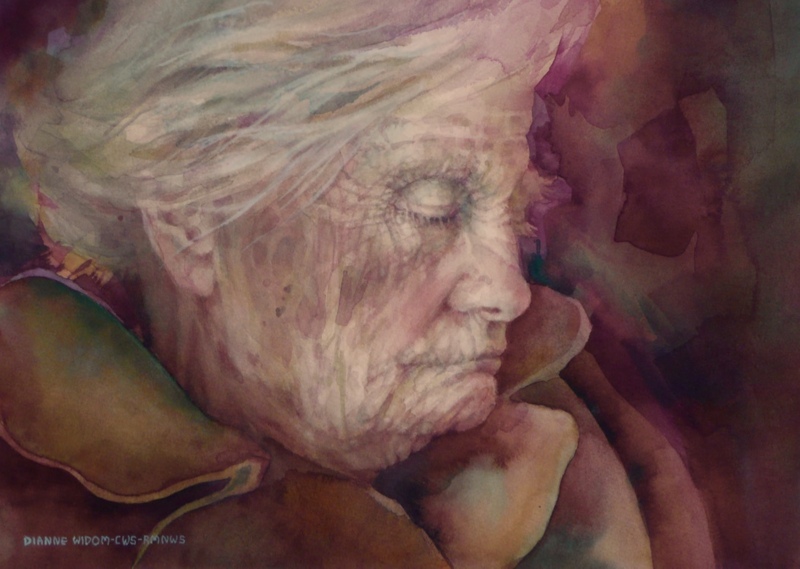 "Interval "- This painting won "Best Of Show" 2008 in the "Zonta Show" (Artful Women) .... "Meininger Award", 2009 17th Annual National Exhibition, Western Co. Watercolor Society --- Honorable Mention 2009, Louisville Art Association National Fine Arts Exhibition. 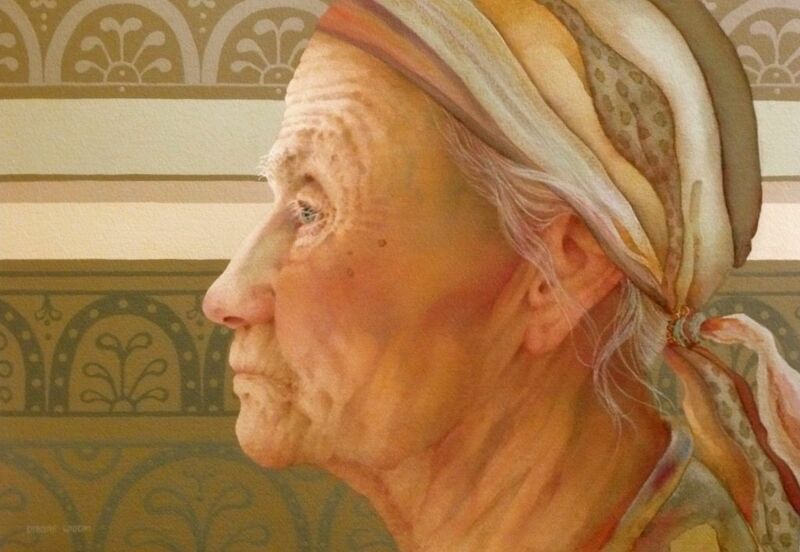 Both figures in this painting were accomplished using photos of my mom. 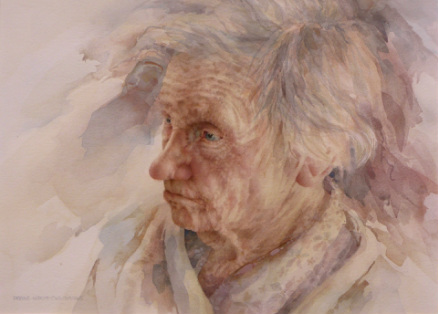 "Weatherworn And Windblown" won Honorable Mention, Louisville Artists Association National Fine Arts Exhibition. "Once Upon A Time". 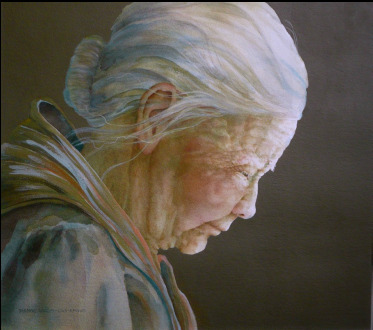 This is a 2nd painting I did of Gladys, who was a good friend of mine. "Timekeepers" - This painting won a 1st Place award in the LAA 2013 Fall Member Show. 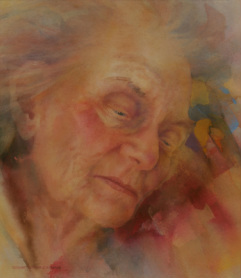 It was also accepted in the 2012 Rocky Mountain National Watermedia Exhibition.